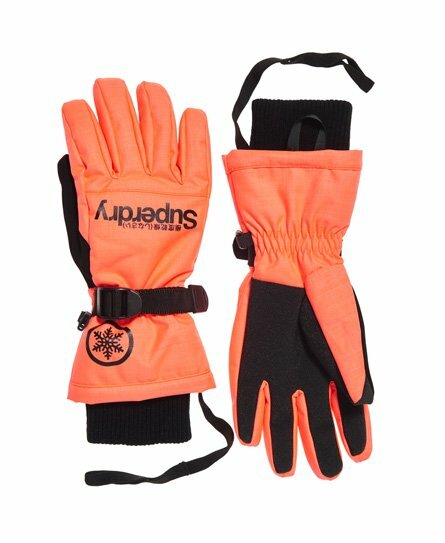 Superdry women’s Ultimate Snow Service gloves. These snow gloves provide comfort and functionality which make them ideal for the slopes. The gloves come with a thermal, super soft inner lining as well as a ribbed cuffs that keep your hands warm while out in the elements. The gloves also come with an adjustable strap over the wrist and technical, reinforced fingers and palms to provide grip. The Ultimate Snow Service gloves are finished with a Superdry logo print on the front, a logo print on the wrist and also an elasticated wrist strap.